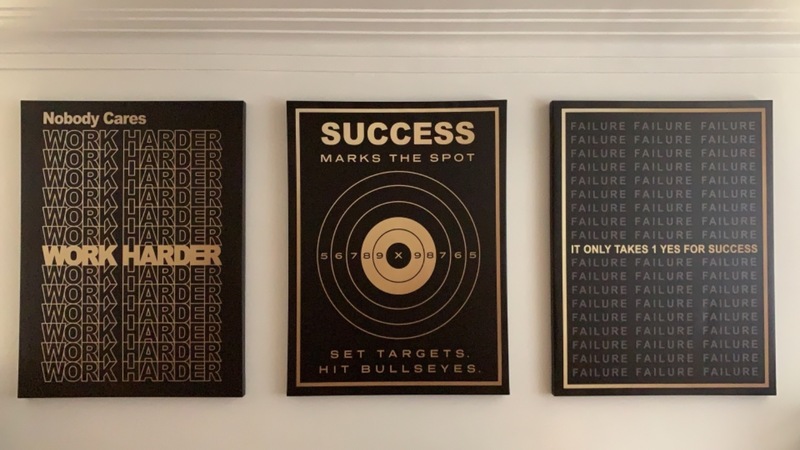 "Success Marks The Spot" by IKONICK. 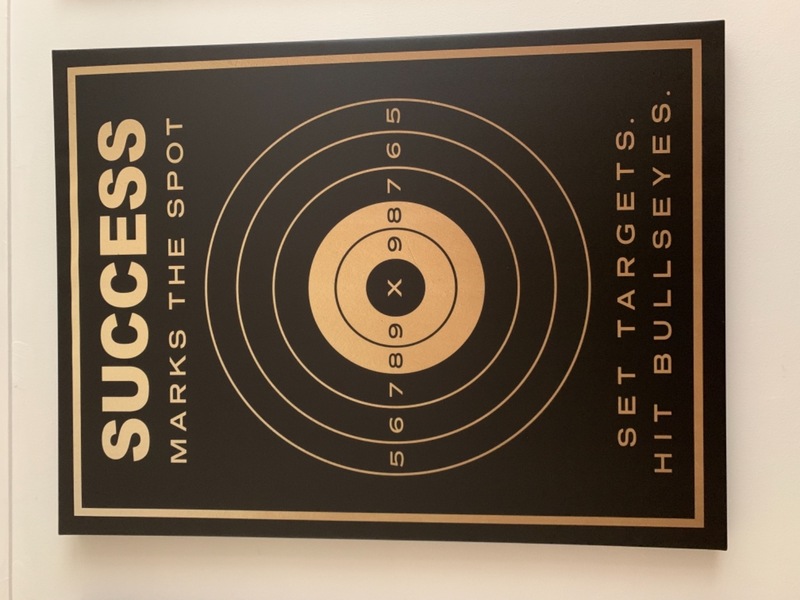 Set targets and hit bullseyes! Worker harder, smarter, and aim for success with this canvas from our line of entrepreneur geared artwork. 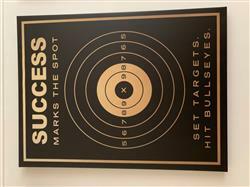 The black and gold bullseye is a perfect fit for any office! Ikonick pulling through as usual to bring my wall to life. I really wish I have more wall space for more of their work. These are a lighter gold to darker gold from left to right, not due to lighting. Great inspirational pieces! Even better service! Keep it up! Loyal customer. Not commissioned. Not sponsored.